Once more, Jodie and I spent a feverish 36 hours madly baking, mixing, stirring, wrapping and laughing as we made our annual Christmas hampers. 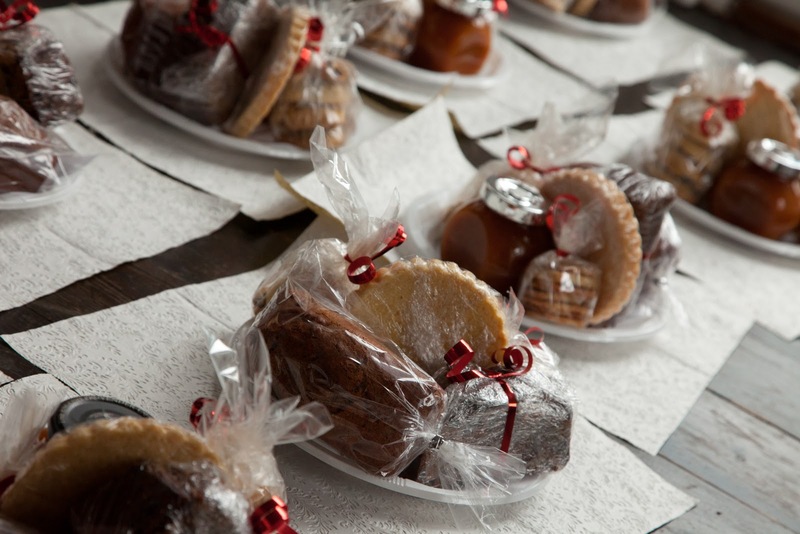 This year we had a record number of recipients, which meant that we were cooking in almost ridiculous quantities! We always try to find a good balance between favourites from previous years (ie tomato relish) as well as some new recipes. 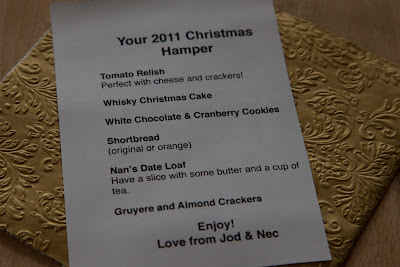 The new gruyere and almond crackers were a favourite with Jod and I - hopefully all of the hamper recipients agreed. We also had a second family recipe enter the hamper this year (tomato relish being the first). This year my Nan's date loaf took it's turn in the spotlight - in the form of super cute mini-loaves that looked great in the hamper. Hopefully this year's hamper was a success. 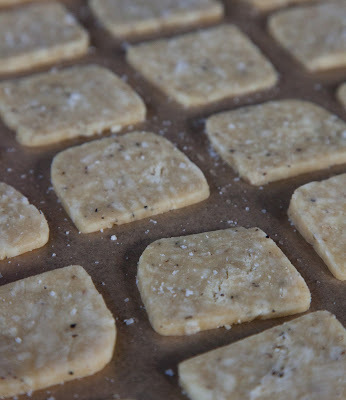 Plans are already afoot for a very special hamper in 2012.
a) We do agree about the Gruyere and almond crackers! 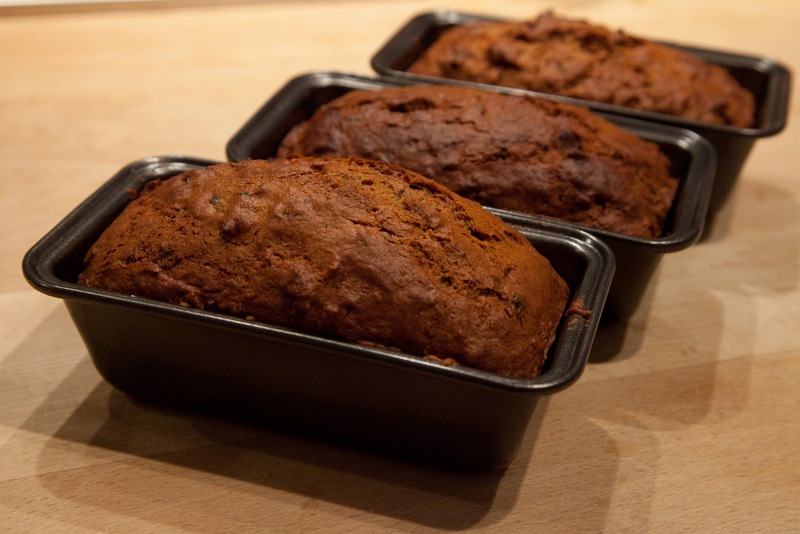 b) The mini loaves were super cute!